As a huge fan of Robins books it came as no surprise that this one would deliver the goods. Like his other books this short to the point and waffle free. Like any new learning experience it takes a few reads until the penny really drops and this no hassle with this book. At this price it would be foolish to look elsewhere. A little gem on a fairly complex subject. If you are serious about photography and want to produce images of the highest quality, you need to apply colour management to your workflow. Unfortunately this can be one of the most daunting, confusing, complex and error prone areas of photography to master. If you have worked for hours to perfect an image only to find it looks dreadful on someone else's monitor, you will understand how frustrating this can be. Perhaps you spent hours and wasted much money on ink and paper, trying to produce a print that matches your monitor. Worse still, perhaps you paid someone else to produce your prints only to find that they look dreadful. Problems such as these are common and most photographers will face them at some time. Some will spend days, weeks, months or even years trying to identify and fix the issues. Many will give up in frustration and resign themselves to the "fact" that they don't understand digital photography. This is so unfortunate as most problems can be easily corrected once you understand the essentials of colour management. 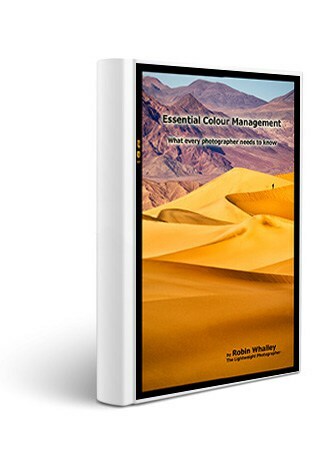 In this concise book (21,000 words and 87 illustrations) you will learn everything you need to know as a photographer to master colour management from capture to output. The basics of the subject will be fully explained so that you gain real practical knowledge that you can apply to your work. The book also provides a solid foundation to progress to more advanced material in the future should you wish to do so. Don't suffer in silence when help is available.